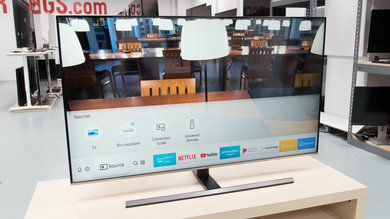 Shopping for a new TV can be challenging; with so many different models out there, it can be hard to even know where to start. To further complicate things, new brands have dramatically increased in popularity in recent years, and some of these new brands have started releasing models that match or even outperform far more expensive models from the established brands. From smart features to design, each brand has its own way of doing things. So how do they stack up? 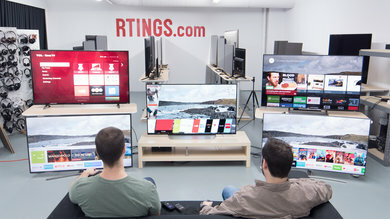 Read on to find out our take on the best brands for smart TVs the U.S. See also our recommendations for the best smart TVs. The South Korean tech giant is well known in the TV industry. 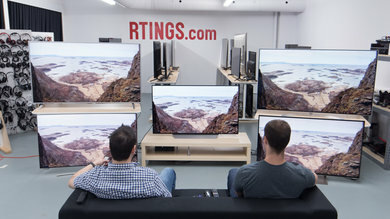 Their TVs range from the smallest 720p budget TVs to the largest 4k ones, and recently an 8k premium TV even hit the market. Most of their models have great picture quality and very good smart features since Samsung puts a lot of research to bring further improvements in this area. The Tizen OS, Samsung's smart platform, is one of the best in the market. Samsung includes new features and innovative designs in their models that make them stand out. 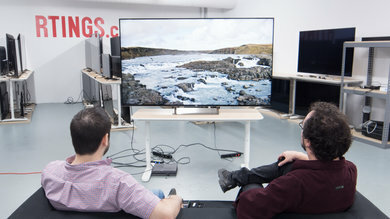 A recent addition is the 'Ambient Mode' that transforms your TV into a work of art. New models usually incorporate only small changes from the previous year, but this does not mean they are slow in adapting and trying out new technologies. The QLED TVs that deliver outstanding colors unmatched by any other brand until recently were first introduced into the market in 2017. 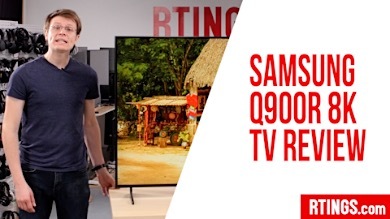 In 2018, they released the Q900R, the first 8k TV on the market, driving TV enthusiasts' adrenaline to new peaks. 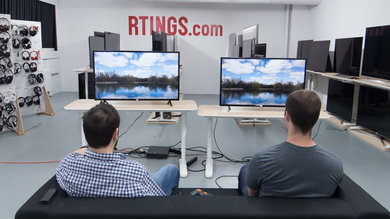 They are also the first TV manufacturer that offered support to nascent technologies like FreeSync VRR, low latency motion interpolation, and auto game mode in their high-end TV lineup. At the same time, they like to make their existing customers happy by offering updates to their existing fleet. Recently, they updated the firmware of many of their 2018 models to include support for those nascent technologies. If you are a fan of large screens or just want as small secondary TV, Samsung has something for every room size and every wallet. The Q9FN is the company's flagship, with great picture quality and impressive colors. 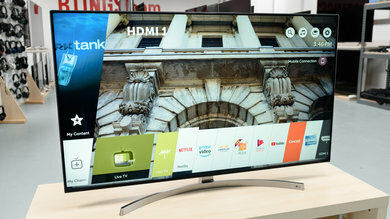 In the mid-range category, the Samsung NU8000 is one of the most popular TVs on the market. It is packed with gaming features, has very good picture quality, and spans across a variety of sizes. In the budget category, Samsung offers the NU7100 in sizes ranging from 40" to an impressive 75". The NU7100, despite the budget price, still delivers decent overall picture quality and runs the same smart platform found on the more expensive models. LG is one of the first TV manufacturers that produced OLED TVs that can deliver true blacks, greatly enhancing picture quality. 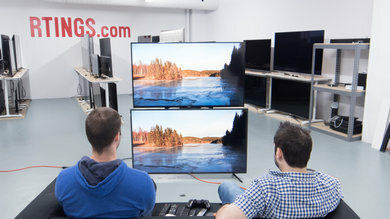 Apart from OLEDs, LG produces a large number of LCD TVs mainly using IPS panels, which are known to have wider viewing angles than VA panels at the expense of contrast ratio. 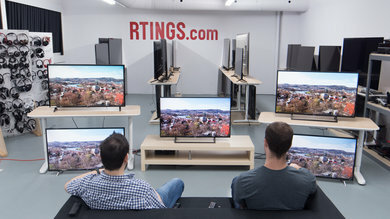 The TVs at the lower end of LG's lineup are not expensive, but their performance isn't as good as the competition and they are not regularly recommended by us. 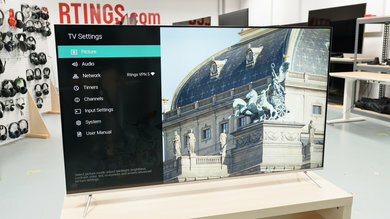 On a side-by-side comparison to other brands, LG TVs have excellent low input lag and wider viewing angles due to the IPS panel used, as explained before. 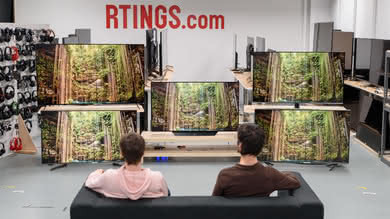 These features make them a good choice for use as a monitor, since they are very responsive and minimize the possibility that you'll experience uniformity issues at the edges even when you sit up close. Unfortunately, the wide viewing angles come at the expense of lower native contrast ratio, which is more noticeable in a dark room where blacks tend to look more like gray. 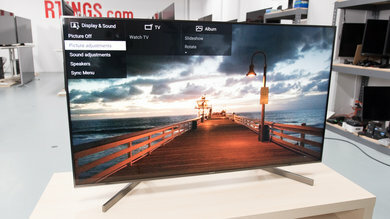 LG TVs run LG's WebOS, one of the best TV operating systems available. Its smart TV platform is fast, easy to use, and gives you access to one of the largest apps collection, sure to cover any taste. LGs ship with one of the most advanced remotes that allow you to quickly navigate through the menus without any issues. Although LG is famous for their top-tier OLED TVs, they have a very versatile TV lineup that spans all budgets. 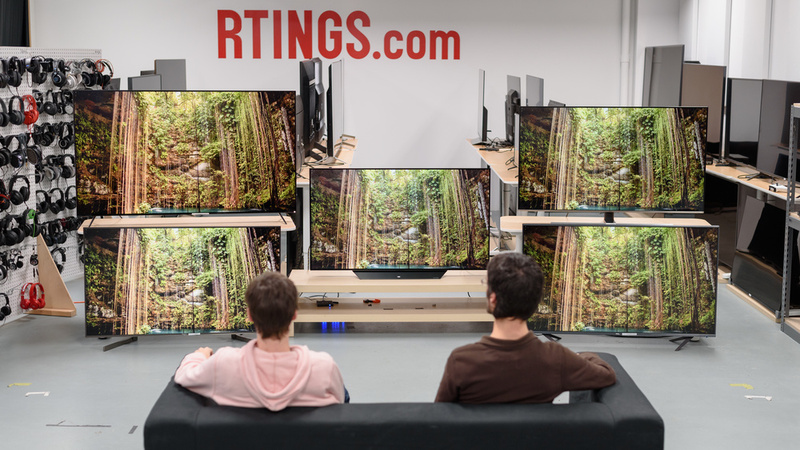 Most of their budget TVs are IPS with wide viewing angles, but they don't look as good in a dark room. 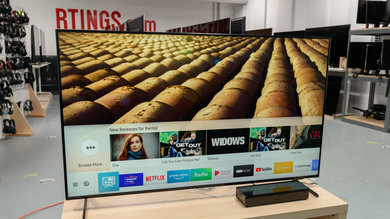 The LG TVs that deliver the absolute best quality are the 2018 OLED TVs, the LG C8 and LG E8. 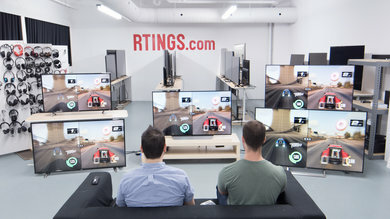 They have an outstanding picture quality, with excellent motion handling and low input lag for gamers. The E8 has a more premium look and a dedicated soundbar. In the mid-range category, the LG SK9000 is a very good 4k LED IPS LCD TV with wide viewing angles, excellent low input lag, but, unfortunately, just decent dark room performance. The best budget TV from LG is the LG UK6300. It uses a less accurate RGBW pixel structure that may bother some people but has decent overall performance and an outstanding low input lag. Sony has been one of the biggest TV manufacturers since 1960, when they came out with their first transistor TV. 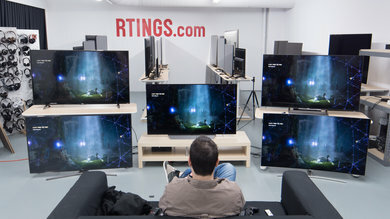 Sony has always been at the edge of technology delivering products that span the entire market. 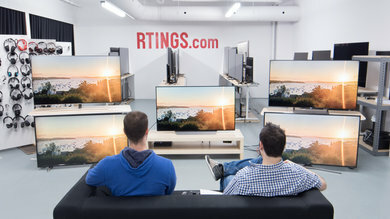 In 2018 they consolidated their product lines and made it simpler for consumers to choose a TV. 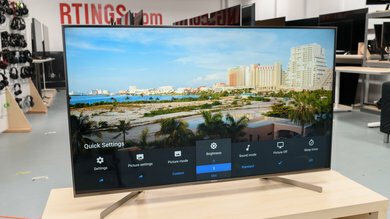 Sony has a product for every need, from the very basic 4k entry-level TV to the most technologically advanced OLED TVs for TV enthusiasts. When compared to other manufacturers, Sony puts a higher priority in quality and picture accuracy. 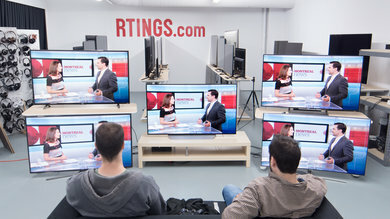 Every TV in their lineup, from the most budget one to the most premium one, is well-built. 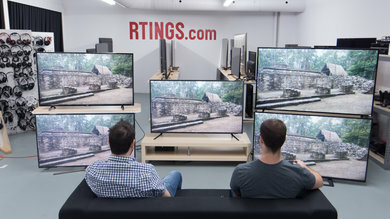 Sonys have good motion handling and can upscale lower resolution content very well. 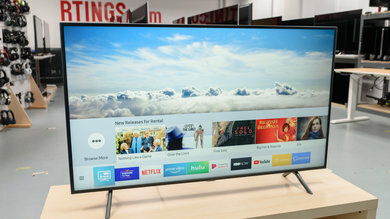 The newest Sony TVs run Android TV 8.0 which, apart from giving you access to the Google Play Store with a multitude of apps, is also much faster than its predecessor, solving one of Sony's greatest flaws: OS responsiveness. 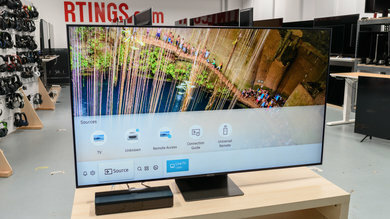 Sony 2018 lineup only contained 4k TVs, and very few models were available in sizes smaller than 55", showing the trend the company wants to take. Sony's lineup has a TV to cover everyone's needs. The very best is the A9F OLED that delivers an outstanding picture quality and an excellent HDR experience, as close as you can get to the creators' intent. 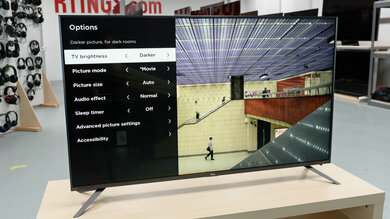 If, however, you don't want to be exposed to the risk of burn-in that all OLEDs have, you can choose the Z9F which is Sony's best LED/LCD TV, delivering excellent performance in almost any usage. 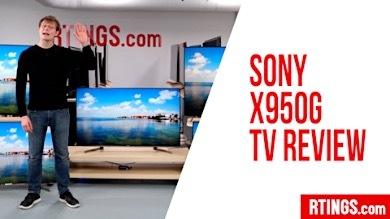 The X900F, a great TV, is Sony's top mid-range model that will keep most people happy with its performance. Finally, at the lower end of Sony's lineup, we find the entry-level X750F, an IPS TV with wide viewing angles and decent picture quality. 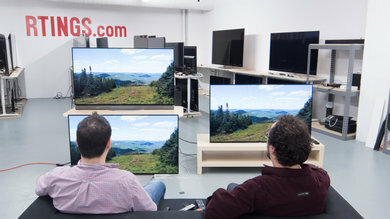 A relative newcomer in the North American TV market, Vizio is one of the last U.S.-based TV brands. They have relatively few models compared with other brands, and historically they have been more budget-oriented. 2018 has been a game-changing year for Vizio, with the Vizio P Series and P Series Quantum outperforming many of their competitors' more expensive models. 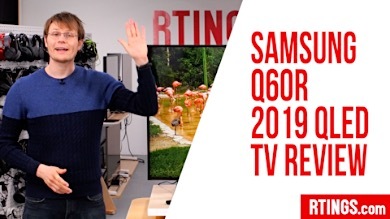 The P Series Quantum is, in fact, one of the best LED/LCD TVs we've ever tested. 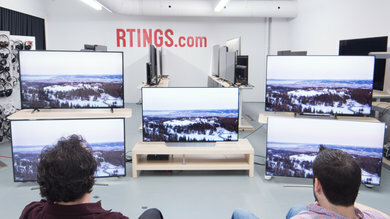 Vizio TVs typically aren't as advanced as most of the competition. While recent models have a polished and modern smart interface, they use a simpler operating system, with a limited selection of apps and no way to add new ones. Instead, Vizio TVs stream content from your existing mobile device. Vizio TVs also typically have worse upscaling than the competition, although this shouldn't be an issue for most people. 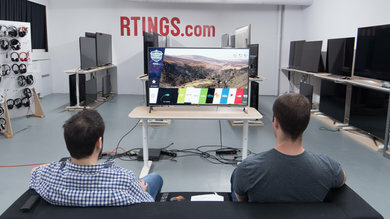 On the other hand, Vizio TVs are typically competitively priced, and they usually have great dark room performance and low input lag for gaming. This year, Vizio has released new models ranging from small budget TVs to the most advanced big screen TVs. 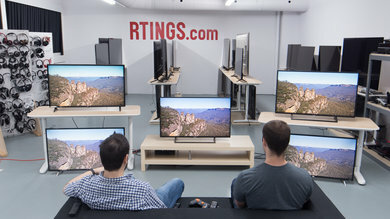 All of the TVs we reviewed were 4k, but they still have a few 1080p budget models as well. The best Vizio TV we've reviewed so far is the Vizio P Series Quantum. 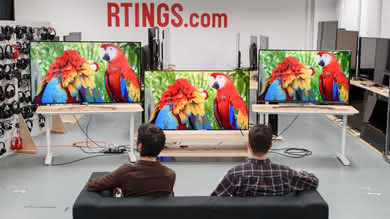 Although it is only available in 65", it is an outstanding LED/LCD TV that delivers great picture quality, with excellent motion handling and low input lag for gaming, and it is one of the brightest TVs on the market. 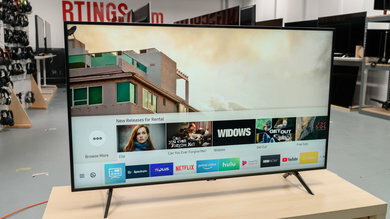 Their best mid-range TV is the standard Vizio P Series 2018. Available in a variety of sizes, the P Series is almost as good as the Quantum, with a great local dimming feature and excellent motion handling. The best budget Vizio TV is the E Series 2018. 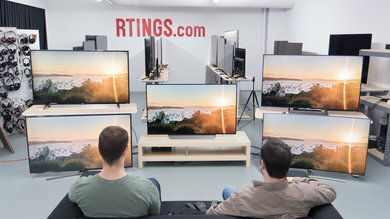 Like the other Vizio TVs, the E Series has excellent dark room performance and low input lag, but it can't get very bright, so it is best enjoyed in a dim room. 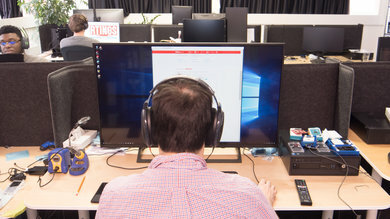 TCL is one of the newer players in the TV industry, just like Vizio. They are unique because they are one of the very few remaining TV manufacturers that make everything themselves. 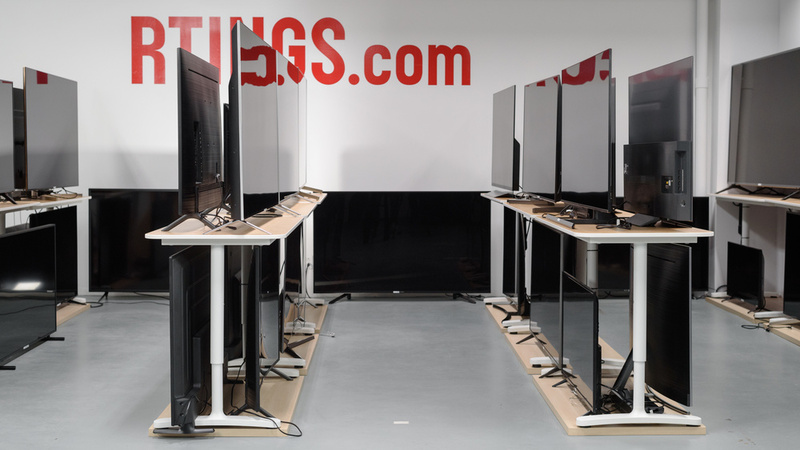 During the past years, TCL released only a few new models each year in North America, and up until recently all the models we've reviewed were only available in the U.S. 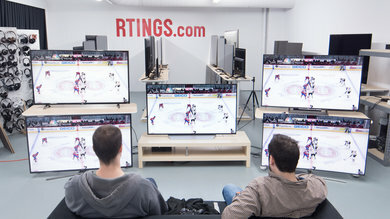 In the last few months TCL has entered the Canadian market, making all of the models we've reviewed this year available to Canadians with minor differences due to content licenses. 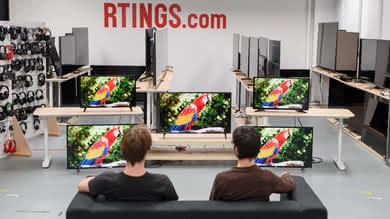 TCL offers the cheapest TVs when compared to the competition. 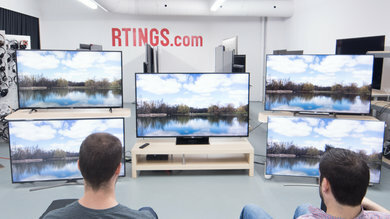 They do not release as many models as other manufacturers each year, but they tend to keep their TV models available in the market for longer. 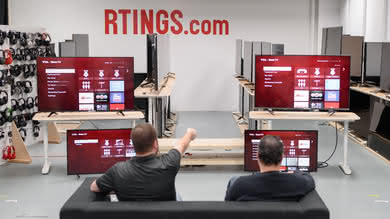 All TCL TVs use the Roku TV smart platform as their smart interface, which is great. The Roku TV isn't the fanciest of interfaces, but it is easy to use, fast, and offers an outstanding variety of streaming channels and apps that you can download. 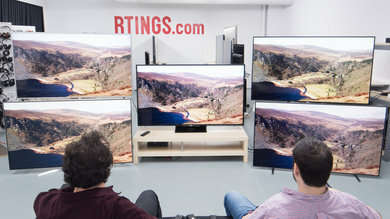 In terms of performance, the TCLs can't get as bright as some of its competitors and their viewing angles are below average. TCL targets the budget to mid-range market segments and its model sizes range from 28 to 65 inch. 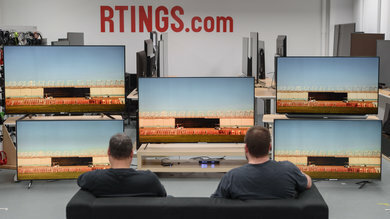 The best TCL TV we've reviewed so far is the TCL 6 Series (R617/615/613). It has a very good performance in almost any usage. The R617 has great dark room performance and can get very bright to overcome bright room glare. 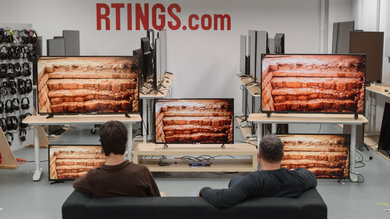 The TCL 5 Series (S517/515) is the only other TCL we've reviewed this year. 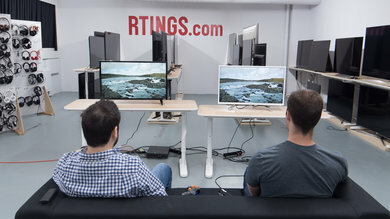 It is a 4k TV with decent overall performance and a low input lag, great for gamers. It also has a wide color gamut and a high native contrast ratio that help improve picture quality. 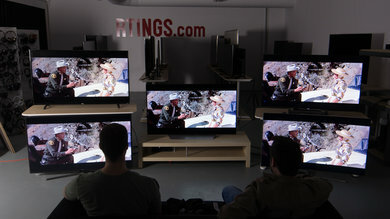 The 5 Series holds the distinction of being one of the cheapest TVs ever with a wide color gamut. 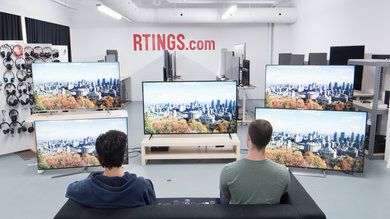 Our recommendations above are what we think are currently the best TV brands and the best TVs available to buy for most people in each price range, from the 5 biggest TV brands in the U.S.